Are you going to Prague for a business trip, study visit, or a vacation? Don’t follow stereotypes, find different accommodation than a hotel. Choose mid-term or short-term rental apartments in Prague 22 for 14 days or 12 months. You’ll find every offered rental apartment in Prague 22 on our easy to navigate map. Then you just choose and reserve. No hotels or boarding houses; stay only in top quality rental apartments on Flatio. Even if you’ll be away from your home for 14 days, a month, or the whole year you won’t lose the homely environment thanks to our rental offers. 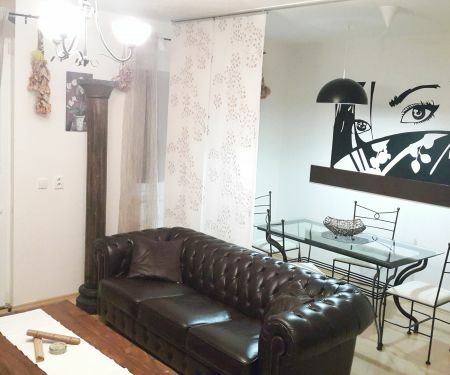 Pick the ideal apartment in Prague 22 ahead of time based on virtual tours so it suits your needs and tastes. Make a reservation and you’ll know if it’s yours in 24 hours.